Working in farming and the rural sector presents challenges and opportunities in equal measures, with our clients having to manage their day to day business in light of unpredictable variables – not least the weather! The impact of Brexit on the sector remains to be seen with the only consensus being that change will be coming, one way or another. Change however, creates opportunities and being prepared for and embracing change will provide the best chance of success. What happens when Britain leaves the EU depends on what – if anything – would replace the Common Agricultural Policy, which is the big unknown for farmers. It is impossible to measure the impact of being outside the EU since we do not know the relationship the UK would have with the EU, nor the conditions under which farmers would be expected to operate. The government is consulting on proposals to deliver a new farming policy and in particular, a new system of paying farmers. The Environment Secretary has pledged to provide the same amount of farm support that is currently provided under CAP until 2022. Beyond 2022, there will be a transition period lasting a number of years during which direct payments will continue. However, the government considers that in the first year of this period reducing direct payments could free up to approximately £150 million which could be used to support farmers. On 21 June 2017, the Queen’s Speech set out the Agriculture Bill, which will be complemented by legislation to “ensure that the United Kingdom makes a success of Brexit, establishing new national policies on agriculture.” The purpose of the Bill is to provide stability to farmers as the United Kingdom exits the EU and support to help them compete both domestically and on the global market, allowing the UK to grow, sell and export more British food. The government believes that the main benefits of the Bill will be to support a self-reliant farming sector to be more competitive, productive and profitable, protect the natural environment and provide stability for UK farmers as the country leaves the EU. The Department for Environment, Food and Rural Affairs (Defra) has announced that the Countryside Productivity Small Grants scheme (CPSH) has been popular with farmers with more than 3,500 grants being award across the county, worth £23.5 million (an extension of the initial £15 million allocated). The scheme helps farmers to purchase equipment to increase productivity, with grants available to aid electronic identification of livestock, improve the application of manures, and introduce guidance systems to aid precision farming. The scheme is currently closed but a second round of funding will be available in the Autumn and Defra has also announced an extension of the 150-day grant claiming period for certain equipment. Most importantly, the government has guaranteed funding if grants are agreed and signed before the UK departure from the EU, so long as the projects are good value for money and they are in line with domestic strategic priorities. Farmers should look to see what grants they could take advantage of this Autumn. Since the Brexit vote, the number of seasonal workers travelling to the UK from the EU continues to fall year on year. Much has been made in the national press regarding the shortage of such workers in 2018. Current predictions focus on increased prices, crops going to waste and shortages in crops such as soft fruits. Due to the fall in the value of the pound and a perceived hostility towards foreign workers, many EU workers are already choosing to remain in their home countries or finding seasonal work elsewhere in the EU. The Government is seeking to reassure the agricultural community that labour needs will be met post-Brexit however, it is likely that the problem will continue (or more likely, increase) once the Brexit process is complete, regardless of the measures that are put in place. Employers reliant on seasonal workers should plan ahead and develop strategies to cope with what is likely to be a growing issue. English planning law and policy is changeable, unpredictable and impacts greatly on farming and the wider rural economy. Two welcome changes to the permitted development rights came into effect on 6th April. First is the increase to the number of dwellings which may be created from redundant agricultural buildings under Class Q of Part 3. It is now possible to create either (i) up to three larger dwelling houses with a maximum cumulative total residential floor space of 465 square metres or (ii) up to five smaller ones each with no larger than 100 square metres of residential floor space or (iii) a mixture of larger and smaller houses. Second is the increase in the maximum size of agricultural buildings permitted under Classes A and B of Part 6, up to 1000sqm from 465sqm. • strengthening protection for natural habitats and ancient woodlands and clarifying that development within National Parks and AONBs should be limited. Pre and post nuptial agreements continue to be hot topics in the months leading up to traditional wedding season. Whilst it is often portrayed in the media that pre-nuptial agreements are reserved for the mega-wealthy, the majority of pre-nuptial agreements are in fact favoured by families who simply cannot afford to not have one. The benefits of a pre-nuptial agreement are often considered the insurance policies to protect those families or individuals with inherited wealth, family businesses or where preserving assets for future generations is key. This also includes where the “wrong” division of assets would have a devastating effect on the business and income stream for the family. This is often most typically felt in the farming and agricultural sector where the benefit of a pre-nuptial agreement gives both parties clarity and protection on all side and where it is most needed. Whilst pre-nuptial agreements are on the face of it not formally legally binding, case law demonstrates that if entered into freely and fairly parties will find that the terms of such an agreement will be upheld. The inheritance tax (IHT) nil rate band allowance remains frozen at £325,000 per person in 2018/19. However, where certain criteria are met, individuals can now benefit from an additional IHT relief introduced in April 2017 known as the residence nil rate band. The allowance in 2018/19 is £125,000 per individual rising to £175,000 in 2020/21. 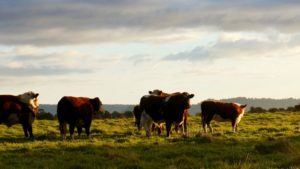 Some consideration will need to be made by farmers in order to secure the relief, which may involve a review of the ownership of the farmhouse and consideration of how to structure passing it to the next generation whilst maximising IHT reliefs. More changes are afoot; the Office of Tax Simplification has launched a consultation to simplify IHT rules and commentators suggest some changes to Agricultural Property Relief are on the horizon and are predicted to be announced in the Autumn Budget. The decision of a long-running inheritance dispute was finally made in 2017, reinforcing the importance of testamentary freedom i.e. that a person making a will can have a greater expectation that their wishes will be taken into account. In the case of Ilott V Mitson, a mother had excluded her daughter from her will and instead left her estate to three charities. Following a claim under the Inheritance Act 1975 for reasonable financial provision, the daughter was initially awarded £50,000, a sum which was increased upon appeal, but then finally reinstated by the Supreme Court last year. As with most cases, this one was fact specific, but it serves as a reminder to individuals making a will that any decisions, particularly those which exclude beneficiaries, should be detailed and justified, to ensure peace of mind that their wishes will be carried out. Brachers’ strong reputation of advising and supporting the agriculture sector and land based businesses has been built over a period of more than 100 years Please note this summary is not a substitute for legal advice.